A Home-school Curriculum That Your Child Will Be Excited For Every Day! Are you spending hours on math and completely frustrated with your current home-school math curriculum? Is your child struggling with Algebra concepts and you just can't help? Are you looking for a step-by-step curriculum that is easy to follow and manage? If you can answer "Yes" to ANY of the questions above, then I have GREAT news for you. 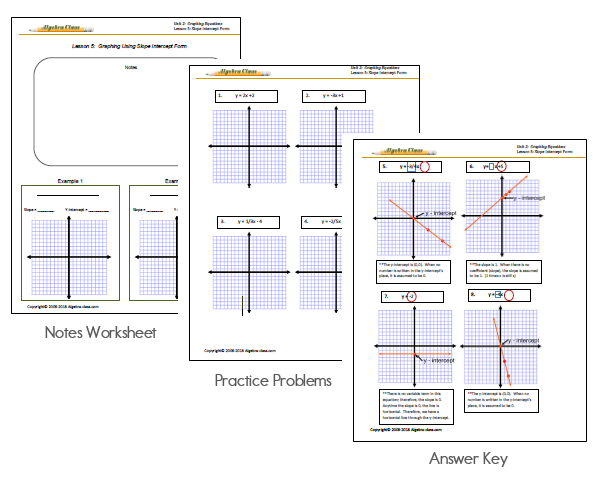 How Can I Help Your Child Build A Solid Algebra Foundation? 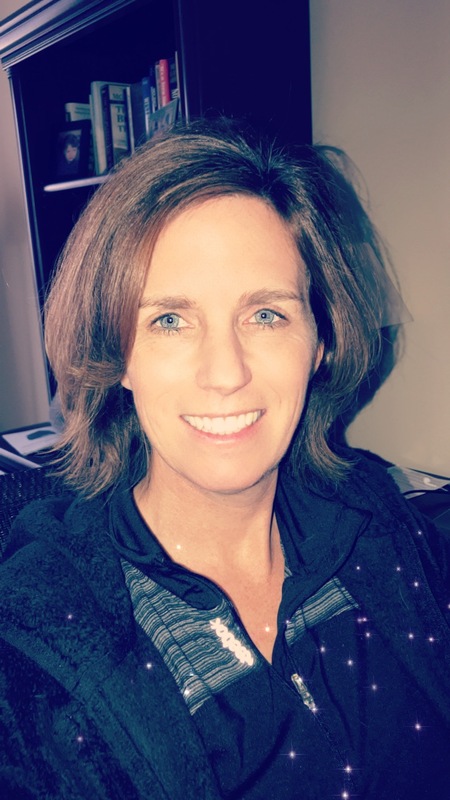 My name is Karin Hutchinson, not only am I creator of this site, but I am a home-school Mom too! I started homeschooling my daughter when she was in 7th grade (during the dreaded middle school years) and she just happened to be taking Algebra 1. So, I know the joys of homeschooling and I also have experienced the frustrations with homeschooling, especially when it comes to curriculum (not math, of course)! Luckily I've been able to see those "Aha" moments with my daughter! Although, I don't always get to see the "Aha" moments from my other students, I definitely read about them in emails. How Can Your Child Get the "Aha" Moment AND Totally Understand Algebra? Wouldn't you love to hear your child say, "Yes, I get it!" or "Yes, I got that answer right!" With Algebra Class, I can help your child not only improve their Algebra grades, but actually learn to love Algebra and want to continue their study of Math! I know that homeschooling programs can be very expensive! I also respect the fact that you are staying home to educate your child! You can have access to the hundreds of Algebra lessons in Algebra Class for just $79. If you don't think you'll use Algebra Class for more than one year, we also have a monthly subscription for $9.99 per month. Below is a list of all the units and the lessons contained in the units. If you are using this as a curriculum, you can see that this Algebra Course contains a very thorough study of Algebra. If you are using this as a supplement to your studies, you will find many individual lessons guaranteed to suit your needs. You Should Try It First! Plus, all children learn differently and you must make sure that your child likes the program! There are A LOT of homeschool math programs out there! So, how do you know what to look for and where you will gain the most Algebra knowledge? Many learners these days learn best by seeing, hearing, and doing. Therefore, it would be best to choose a program that offers video tutorials. As you may already know from hanging out on You Tube, not all instructional videos are created the same. There are some teachers who even on video will put you to sleep within "minutes". Therefore, make sure you "test-drive" a few video tutorials to make sure this is an instructor that you can understand, relate to, and stay awake to when watching the lessons. You also want to make sure that you find a program that provides you with plenty of practice problems. Most students cannot teach themselves Algebra just by watching a few videos. You must practice, even if it's just a few problems. Practice is another way to build your confidence and self-esteem as well. The more practice problems you get right, the more ready you will be for your test. So, make sure the program offers video tutorials and a selection of practice problems for each unit. If you are going to practice, you will also need to make sure that you have an answer key. The practice is no good if you can't check your solution to see if you are on the right track. Many programs either include an answer key or charge you extra for the answer key. If it's just a straight answer key with only the final answer provided, you'll at least have the correct solution, but it may still cost you some time in figuring out where you made your mistake. So, if you can find a step-by-step answer key, you will save yourself a lot of time and frustration. Lastly, most good programs provide a way for you to assess yourself. You need to know if you are on the right track and if you are truly creating those "building blocks" necessary for Algebra success. Make sure the program offers some sort of formal assessment. The best part is....You Get All of the Above with Algebra Class! Dear Karin, I am a home school mom of five who struggled with finding a solid Algebra program for my older boys until I came upon your online algebra class. Your tutorials are straight forward and detailed. Your assignments are designed in such a way that we can spend extra time on what my children need to and move on when they understand something more easily. I am a math-lover myself and am excited that you have finished Part 2 of this course. My boys are understanding Algebra in a way that they never were able to with other courses due to the detail and care that are in each of your lessons. I also appreciate that you are available to answer questions. I just wanted to say what a blessing your Algebra program has been! My son is comprehending and understanding Algebra so much better the way you explain it. I'm so glad I found your website for our home-school year. I wish that you also taught and had a website for Geometry! I'm already researching what to use next year that is close to what you have done with Algebra and have come up empty handed. It's Guaranteed to Work Or You Get Your Money Back! Get rid of that frustration and math anxiety today with the perfect homeschool Algebra curriculum. Don't Delay! This Program Will Reduce the Stress and Anxiety of Teaching Math!